The magnet circuit comprises 8 small ALNICO magnets. On the front yokes, magnetic stabilizing coils are wound. 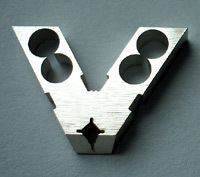 A revolutionary square shaped front aperture with a matching square shaped armature. At a glance, the XV-1 was always different from all cartridges that have gone before. Its magnetic circuit comprises 8 small ALNICO magnets. The magnetic path is divided into two - In the magnetic gap, a specially designed magnetic flux equalizing piece is placed. On the front yokes, magnetic stabilizing coils are wound. By this special combination, the magnetic field becomes widely homogeneous and more linear than the conventional magnetic design that is common in existing MC cartridges. 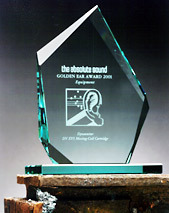 The XV-1 has been awarded 'Golden Ear Award 2001' in the Absolute Sound magazine for its highly advanced technology. 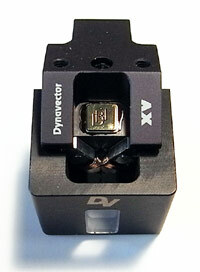 Dynavector continue to research and have pushed the boundary further with the NEW XV-1s. Although the specifications remain the same a significant up upgrade in both magnetic and body parts achieve a startling improvement in imaging, along with a smooth as silk extension over the entire frequency range. The XV-1s is the latest evolution of Dynavector design and features the advanced multi magnet design that stabilizes the magnetic flux density between the front yoke and the equalizer component, around the air gap. The XV-1s also features a revolutionary square shaped front aperture with a matching square shaped armature this enables the moving coil wound armature to move in an equalized and stable magnetic flux. Although slightly smaller in dimension the front yoke aperture is also square shape to match the armature along with a square shaped counterbore to the equalizer component part. 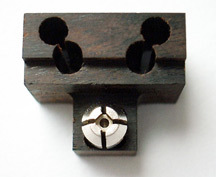 The material used to stabilize the magnets is African ebony wood. It contributes to the best balance to the sound character. 6mm length 0.3 mm dia. solid boron is used. 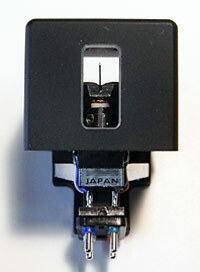 30 micron PCOCC wiring coil is used. 6 ohms impedance is suitable with most phone stages or step -up transformers. New stylus guard is now available.